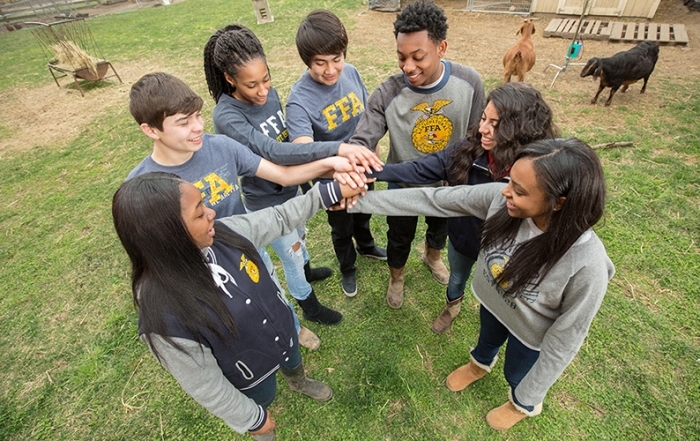 Grants for Growing (G4G) is a competitive grant program that provides funding to FFA Chapters (middle school, high school) to support the development or improvement of agricultural projects that enhance the classroom experiences for students through chapter engagement activities. 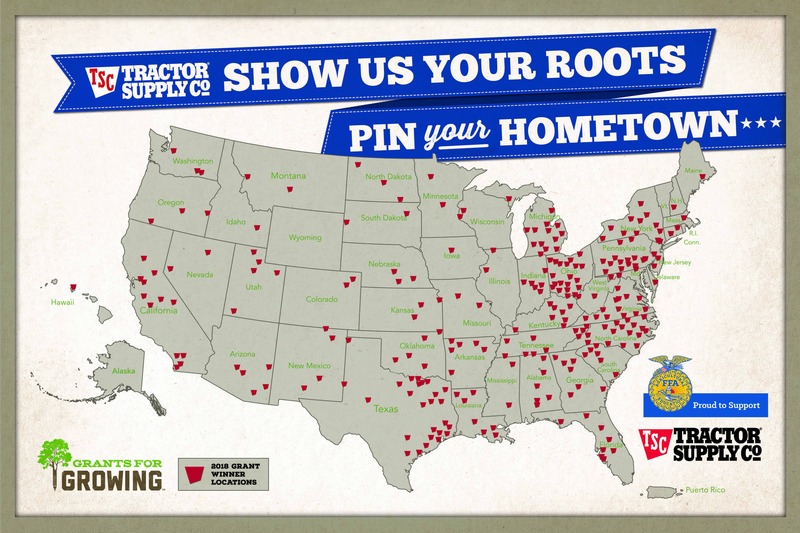 FFA chapters may apply for up to $5000 through the G4G program, sponsored by Tractor Supply Company (TSC). Funding is provided through consumer donations made during checkout at a TSC store location by purchasing a $1 through the paper emblem program. Fundraiser – Feb. 13 – 24, chapters are encouraged to partner with their local TSC store to engage at stores and advertise the program in an effort to increase consumer donations and awareness. Engagement – Feb. 15 – Mar. 4, following the fundraising period advisors will complete an engagement form that describes their efforts to impact donations. Find out more about Grants or Growing – watch the promotional video now, click here. Click on the link to the right to access the application. Please Note: Currently, we do not offer single sign-on with your FFA.org username and password. Applicants will need to register an email to start an application for the first time. 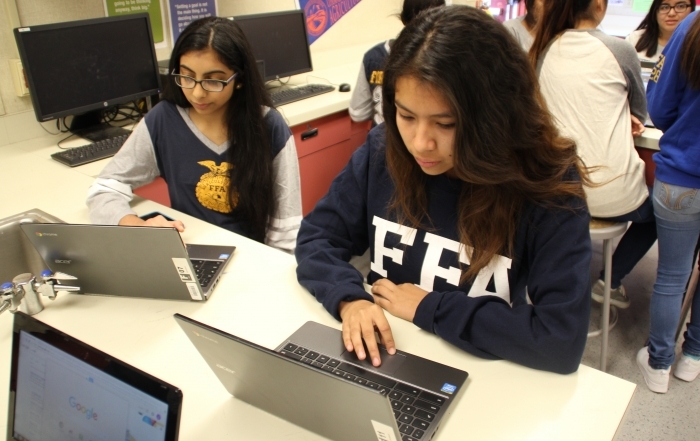 We recommend using your email and password from FFA.org, so it is easy to remember. Ensure the TOTAL amount equals a whole dollar amount. Meals or food for volunteers or events. Giveaways- Ex. T-shirts, food, small manipulatives, etc. The fundraising period for the TSC paper emblem program will take place Feb. 13 – 24, during FFA week. During this timeframe FFA chapters are encouraged to participate in their local TSC store or utilize on-line resources to boost the sales of the paper emblems. However, participation is not a requirement to receive funding through the Grants for Growing program. Use social media to promote FFA Week and the FFA Paper Emblem Sales. Be sure to tag your posts! On Feb. 15 applicants will receive an e-mail with instructions on how to complete the Engagement Form. This form is not required but gives applicants an opportunity to share what activities, photos taken and promotional materials created. The Engagement Form will be open from Feb. 15 – Mar. 3, 2019. Remember to download the Timeline and Social Media Suggestions from the “RESOURCE” button above. All applicants will receive an email notification announcing the results regardless of award status. Awarded chapters will receive additional information with instructions on how to claim their funds. Those chapters that are not awarded a grant need take no further action. This puppy project teaches FFA members lifelong lessons and skills, and provides a valuable opportunity to serve. 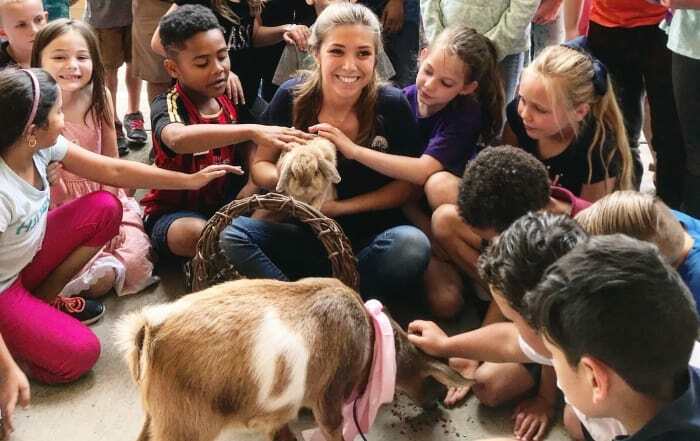 A unique donation helps Mulrennan Middle FFA members and other students in their community connect with livestock. National Ag Week is March 10-16. Here are five things you can do to advocate for agriculture, develop your FFA leadership skills and celebrate the industry. 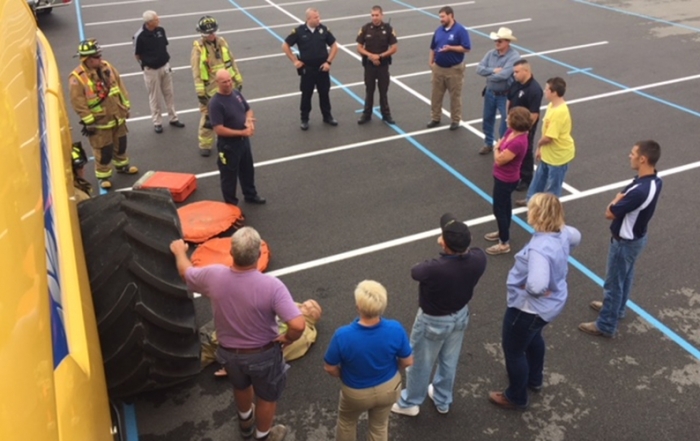 An Indiana FFA chapter teaches farmers how to deal with emergencies in the field.